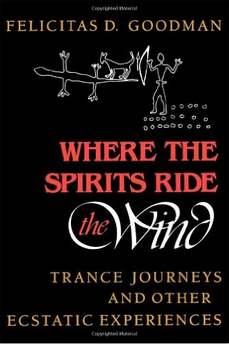 Where the Spirits Ride the Wind: Trance Journeys and Other Ecstatic Experiences. 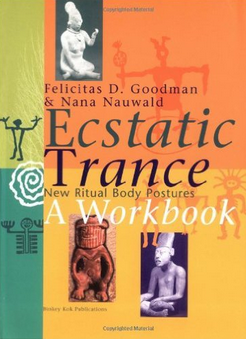 Felicitas documents the effects of body posture on trance experience. Intrigued by the physical changes that take place during trance states, she began to record the observations of students who entered a trance-like condition while concentrating on the sound of Goodman’s rattle for 15 minutes. 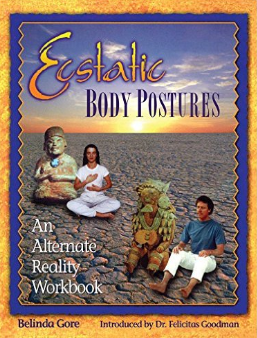 Whenever she led a workshop in trance journeys—whether in Berlin, Vienna, New Mexico or Ohio—her subjects’ journeys always lasted for 15 minutes, but where they went and what they saw, heard and learned, maintains Goodman, depended on the particular body posture they had assumed. 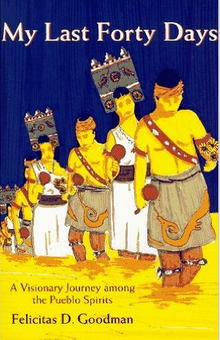 Felicitas traces the origins of religion to the dawn of human history, when religious behavior was accompanied by gesture rather than full-fledged modern speech. She also does a systematic comparison that shows that religion vary according to whether people are hunter gatherers, horticulturalists, agriculturalists, nomadic pastoralists, or city dwellers. Felicitas offers a “unified field theory” of religion as human behavior. She examines ritual, the religious trance, alternate reality, ethics and moral code, and the named category designating religion. Good explanation on the evolution of spiritual traditions in relation to the way we interact with our environment. 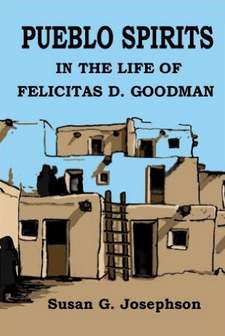 From her own visionary experiences, noted anthropologist Felicitas Goodman has woven together an adventure story of a special kind—with a ghost as the protagonist. It is a tale of death and dying, yet full of light and joy, a heartwarming celebration of the immortality of the human soul. The story is told by the ghost herself, who is on a quest for a permanent home in the alternate reality of Pueblo-Indian mythology, whose inhabitants include animal spirits such as Old Man Coyote, Grandfather Bear, Sister Snake and Spider Woman. Felicitas D. Goodman has studied and worked with religious trance and trance postures for over twenty years. 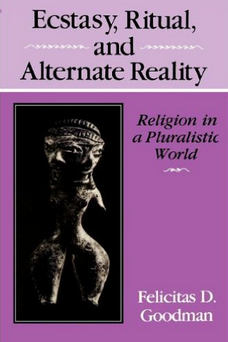 Written by one of her students, a trained psychotherapist, this book summarizes the results of hundreds of workshops conducted by her and introduces the reader to the rich resources of information found in the alternative reality.